In philly for a wedding this weekend. (Unfortunately cant be in San Jose) nice to see this for Martelli. kenpom had us at a ~3.5% chance to win the A10 tourney. That probability felt low, 7% feels low too. Either way, I love SLU as a dog. Makes the Ws that much sweeter. Hmm could be, but I swore I heard otherwise. That would make more sense as I was surprised no one brought it up on here in the moment. Agree. While UR was up by near double digits, did anyone else catch the announcers murmur something about how Richmond was in a nail bitter with Fordham last night and that the opponent tonight(Bills) was "not much better". I think if Javon nails one or two early in a game we could see him get hot and make up for those misses pretty quickly. Thatch is quickly becoming the most exciting billiken for me. I feel more confident with him on the floor. It was neat, I was shocked to hear substantive billiken news on 101 ESPN outside of game time and scheduled weekly Ford interviews. I stayed in my car for 10 min after getting home to listen. I really felt for Javon on everyone of those missed 3's the other night. Really seems out of sort, maybe he can get it back via adrenaline come tourney time. He has a way of showing up when we really need him, but we really didn't need his 3 point shot wed. night thanks to Izzy. Bess' drive and pull up game seems more intact, though still not what it was before. Maybe he can rely on that more. Isabell was on ESPN 101 yesterday around 4pm talking about his Wed. night game. Gave a really great interview. Emphasized the team effort it takes to have a night like that, and how the team needs to recognize a guy is in the zone and make the opportunities for him. Mentioned he was more concerned about winning the game, but in the last 3 seconds thought, "It's senior night, my whole family is here, maybe I'll just take it" Gave a shout out to Williams' abilities, very mature. Also spoke about how he would have liked to be at SLU for 4-5 years, knowing what he does now. He also mentioned that Ford told him from day 1 that it would take until Feb-March for him to really click with the offense, the last few games have seen that come to fruition. Said he was really losing confidence in the beginning of the season but Ford always maintained confidence in him. My own thoughts: He sounded really grateful for his time on team blue. 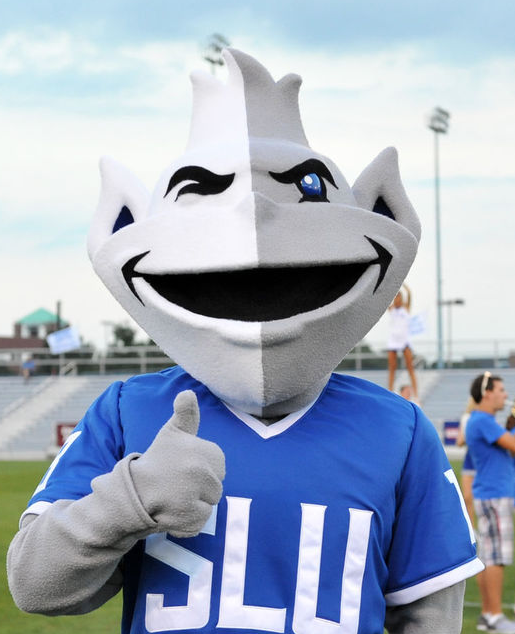 And despite the heat he gets on this forum, he's a great billiken. Always trying to get the offense going. If he(and the rest of the crew) can take that confidence into the tourney, we've got a real shot to cut the nets. I'm sure Wiz will have a better response. and this is a little anecdotal, but look at Mason / VCU. It can go both ways. *As a recent Grad* To start the night we primarily went outside of MidTown to places like Soulard. However, at 12:38am(and not a minute sooner) Lannex is where everyone goes. Including the MBB team when they are in town. It is(was?) one of the few spots left for billikens to go near campus. There is a rumor running around SLU that the Spring Street lofts is considering entering into a cooperative lease agreement with SLU, and The Library Annex would be closing as a result. Seems SLU has it out for the MidTown bar scene. Hump's, Diablito's, Lannex, Laclede's.